Jake Seijas is a retail investment professional specializing in representing clients in the acquisition and disposition of single-tenant net-leased retail investment properties nationwide. 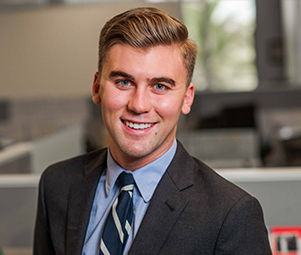 Primarily focusing on single-tenant Casual Dining Restaurants, Jake has an emphasis on Panera Bread, Buffalo Wild Wings, and Hooters Restaurants. Jake and his team have one of the largest market shares nationally for Casual Dining transactions, with a heavy emphasis of IHOP, Applebee’s and Buffalo Wild Wings Restaurants. Jake is responsible for the origination of private and institutional client relationships and is focused on delivering market leading advisory and unparalleled service on behalf of each and every client. Jake’s extensive market knowledge, dedication, experience and professionalism help him exceed client expectations in obtaining the highest value for their properties.